Get ready to enjoy all of the comforts that your new apartment delivers and the convenience of its location. Our apartment homes boast fantastic floor plans that come with plenty of closet space and well equipped kitchens. With access to a heated swimming pool, plenty of parking and the ability to enjoy the outdoors while being surrounded in a beautiful park-like setting, you just can't lose! We are conveniently located right on the busline! Our residents have easy access to the Pittsburgh Airport, Downtown Pittsburgh, major highways, shopping and restaurants. 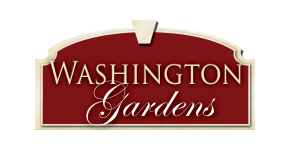 You've found home at Washington Gardens!